OMG – It’s Geoff Ramm! Here at thebestof we’re big, big fans of marketing and customer service speaker, author and all round top bloke Geoff Ramm, so we’re super excited that he’s coming to Barrow to talk to local businesses. Geoff Ramm, the creator of Celebrity Service and OMG Marketing, knows the only way you can attract more customers is to create jaw-dropping marketing. Not only that,providing great customer service leads to lucrative, repeat business. So how do you create highly successful marketing ideas? And how can you design a customer experience that has you talked about for decades? 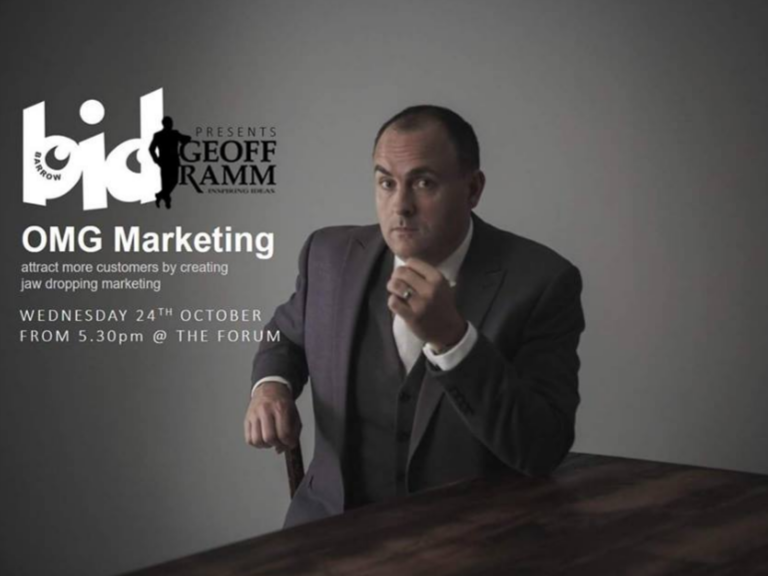 Well, if you come along to The Forum on Wednesday 24th October you can hear first- hand from the man himself, and be inspired to transform the way you market your business as Geoff will be speaking between 5.30pm – 7.30pm. It’ll change the way you think about marketing and how you implement it forever!